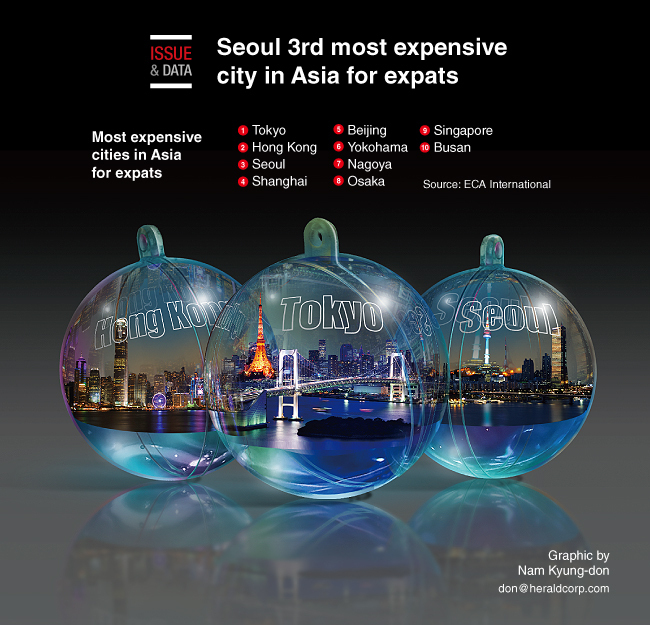 Seoul has ranked as the third most expensive location in Asia for expatriates, according to the latest cost of living survey by ECA International. Korea’s second-largest city Busan also placed 10th, according to the survey. Tokyo retained its crown atop the Asia-Pacific pack, as a financial hub. Hong Kong was No. 2. The survey was based on cost of living, salary, accommodations, taxes, labor laws, benefits and quality of life for international assignees in over 262 cities worldwide.